Meal planning based on the sales at the store has led to some interesting meals in our house. Some pretty common in other households and some not-so-common. 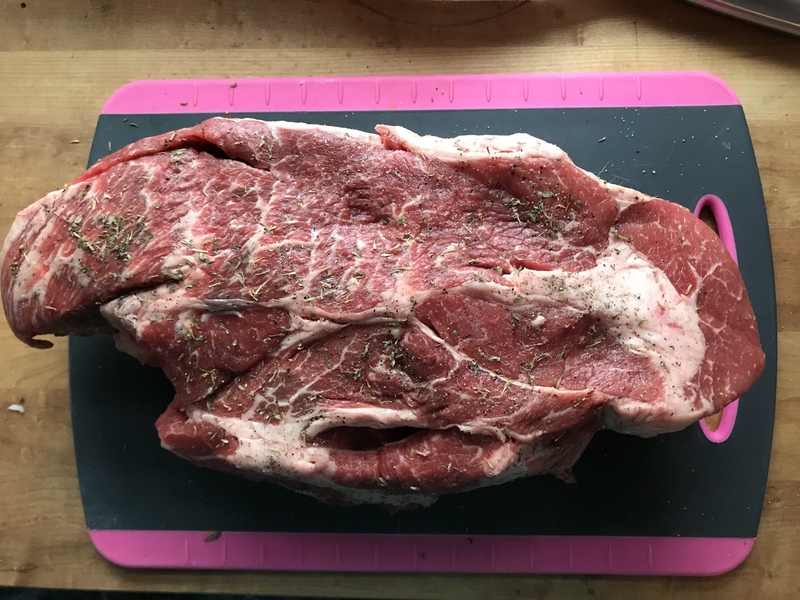 This past week our local store had certified angus beef roast on sale for $2.99/pound, which is more than half off it’s usually price. Since we’ve been pulling potatoes out of our compost pile, it seemed like a perfect time to throw together a strictly meat and potatoes kind of meal. 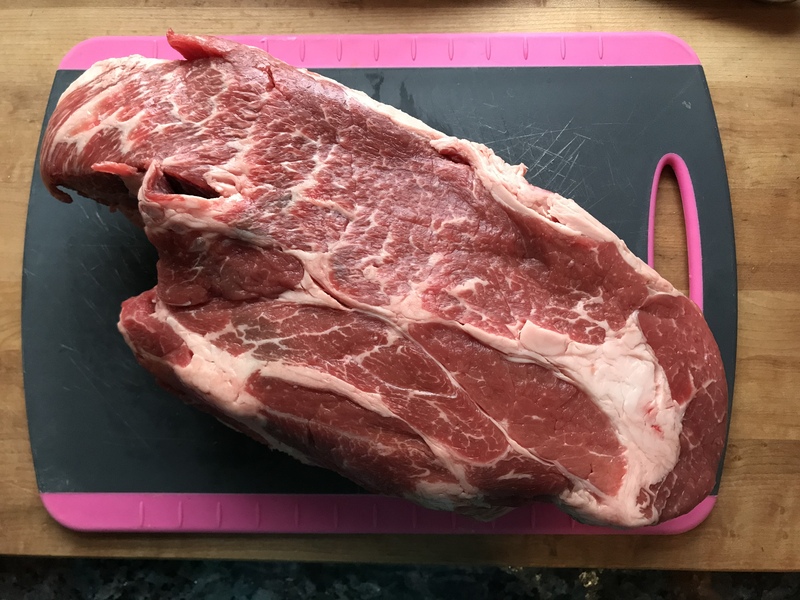 While I love cooking, I’ve never actually made a roast before – it’s not the typical cut of meat I would want on my plate. But it’s cold outside and it was on sale, it was just the perfect timing. 1. Peel and cut off the ends of your onion. 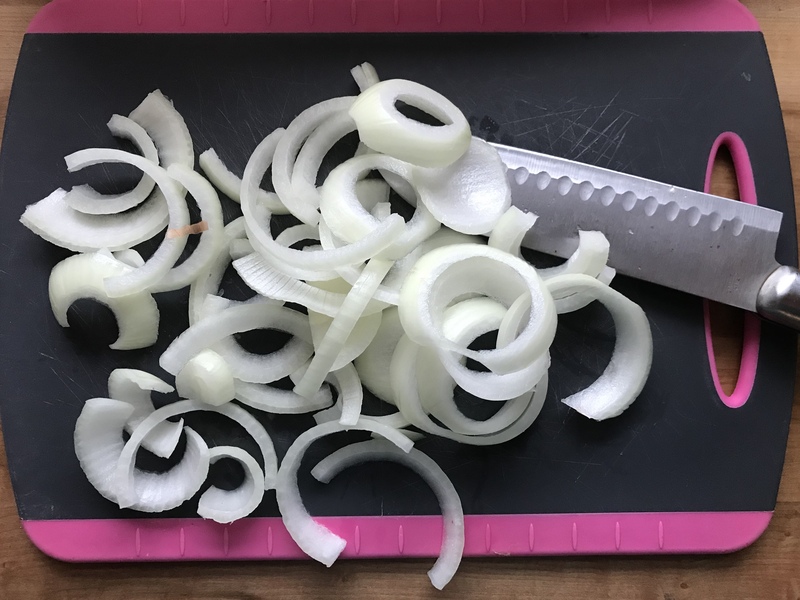 Cut onion in half and slice onion into strips. 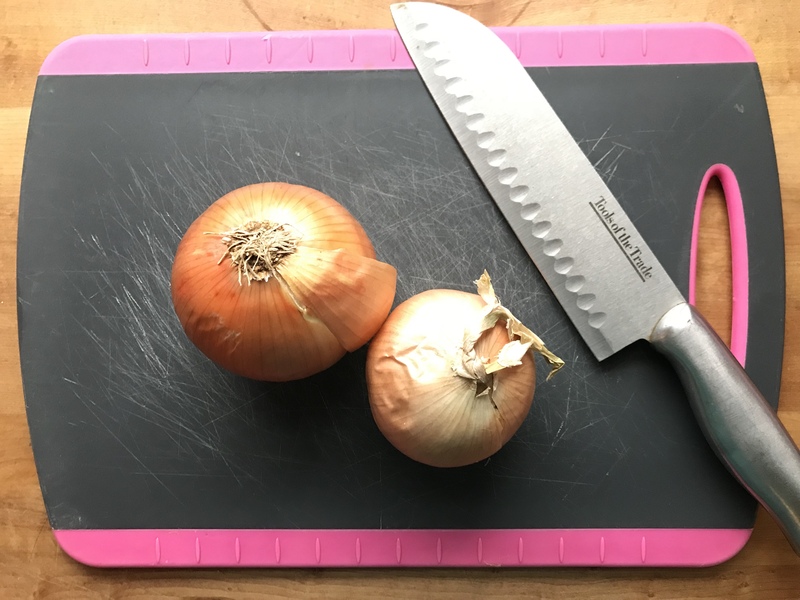 I had initially picked a medium and a small onion, but felt that the medium was enough – I should’ve used both onions! 2. 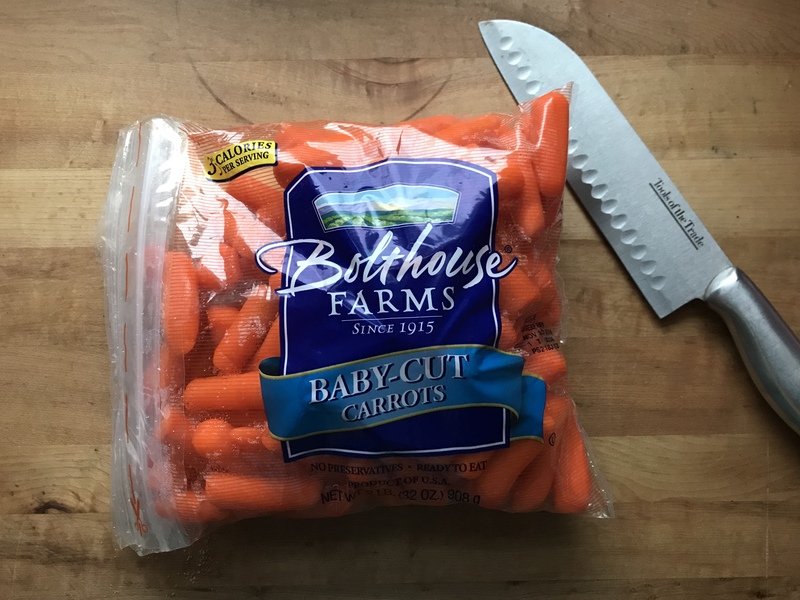 Wash, peel and cut your carrots into manageable bite size pieces. I used baby carrots for ease. I did slice them in half, but you could just add them to your crockpot as is. 3. All spices to taste. 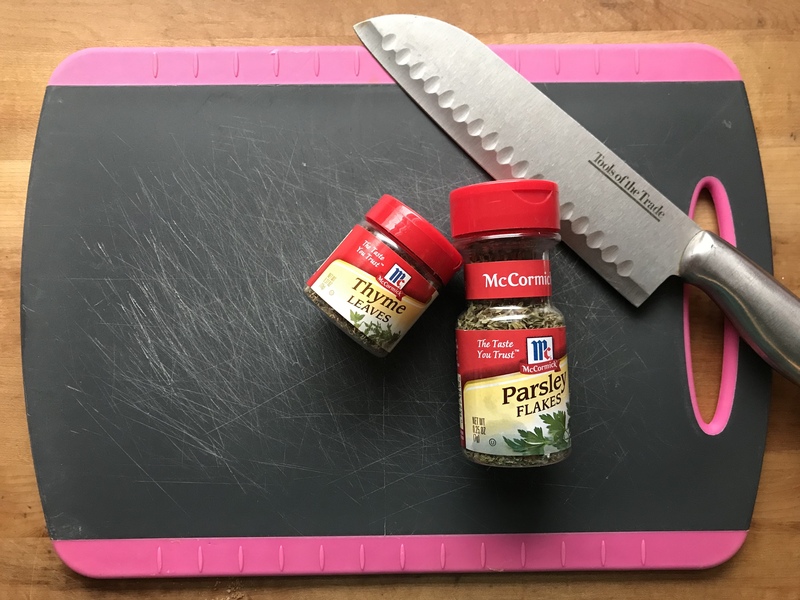 I used about a teaspoon of thyme and parsley, a quarter teaspoon of salt and pepper. Obviously fresh thyme and parsley would have a bigger taste, but if you have dried spices, there’s nothing wrong with that. Rub spices all over your roast. 4. 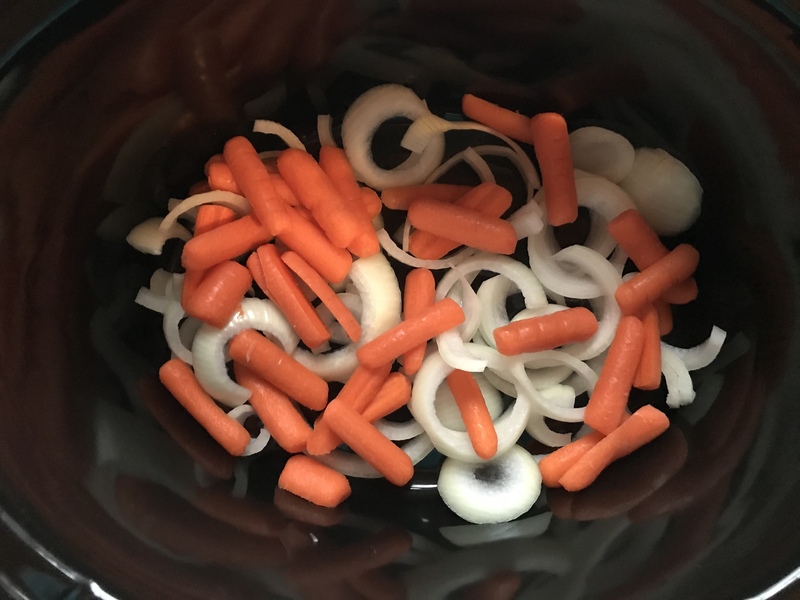 Rub about a tablespoon of minced garlic on the whole roast before placing it on the carrots and onions in the crockpot. 5. 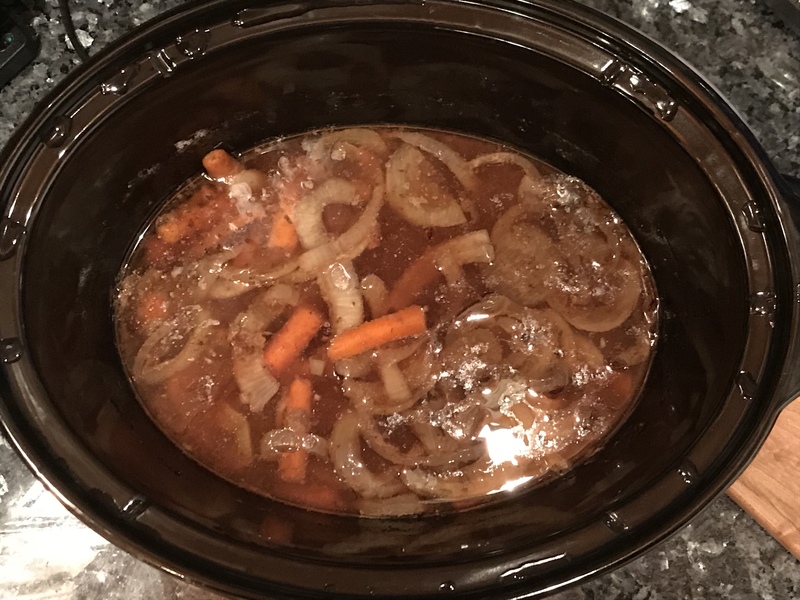 Add about 2 cups of water to the crockpot, cover and set for 8 hours. 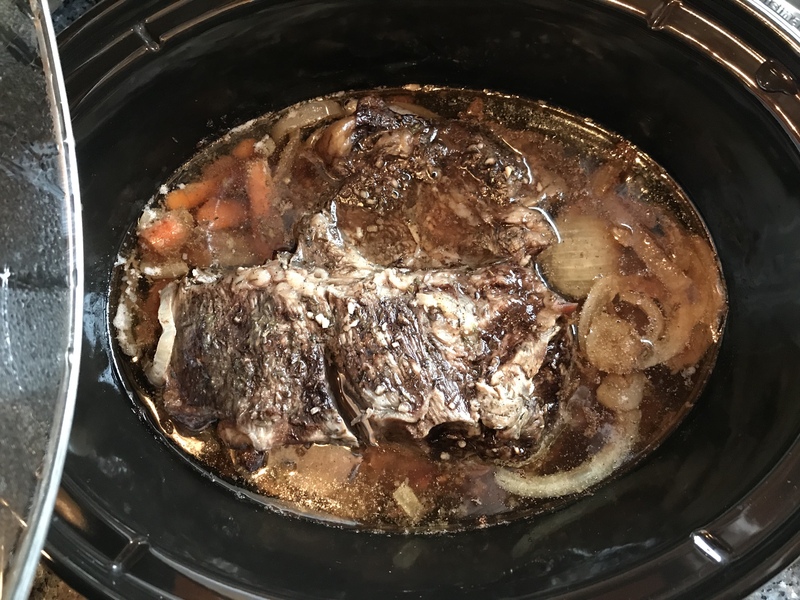 I checked on the crockpot about an hour in and then again about 6 hours into cooking. The length of time will be dependent on the size of your roast. 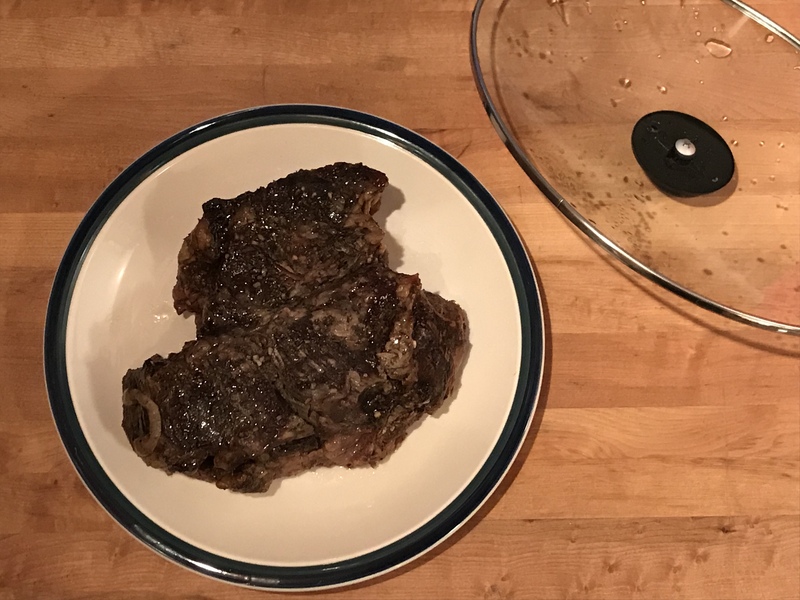 I had about a 5 pound roast and let it cook for about 8 hours. 6. 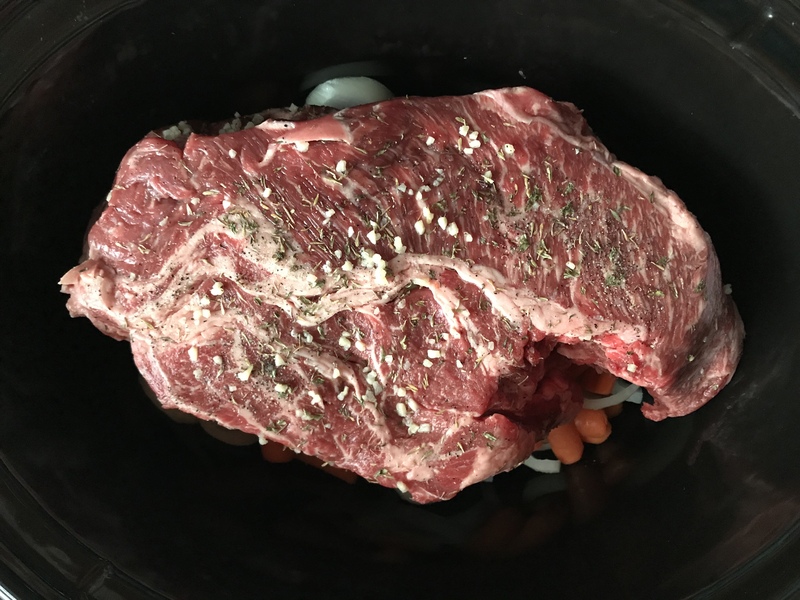 Remove roast and veggies from crockpot to obtain 2 cups drippings for gravy. 1. In a bowl or glass measuring cup, measure out about 2 cups of drippings. Try to keep vegetable bits out of this otherwise it will prevent the flour from breaking down. 2. 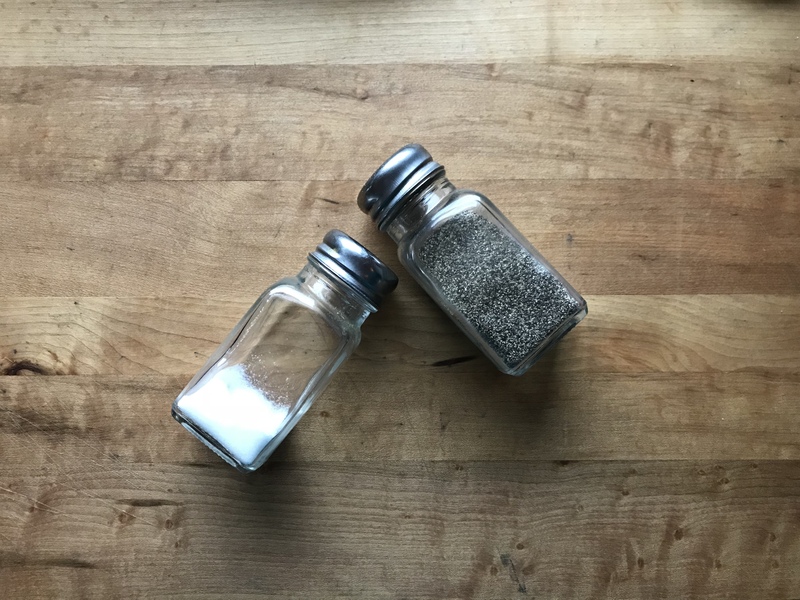 Adding 1/2 tablespoon of flour at a time, whisk with a mini whisk or fork until you’ve combined between 2 and 3 tablespoons of flour to the drippings. 3. Add salt and pepper to taste. DON’T ADD GRAVY MASTER. 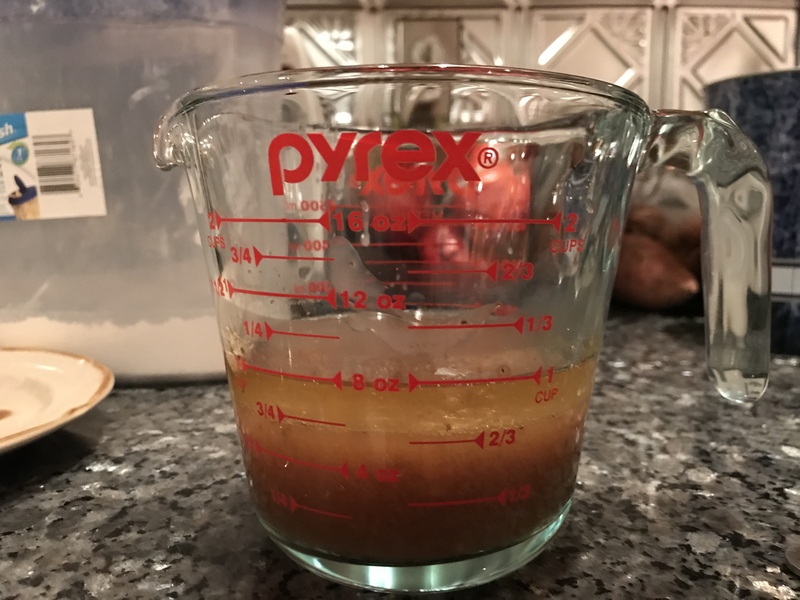 Your gravy will be lighter in color than jarred gravy because there are not additives of dyes to it. I served this with mashed potatoes and butternut squash. The gravy lasts for about a week in a jar in the fridge. 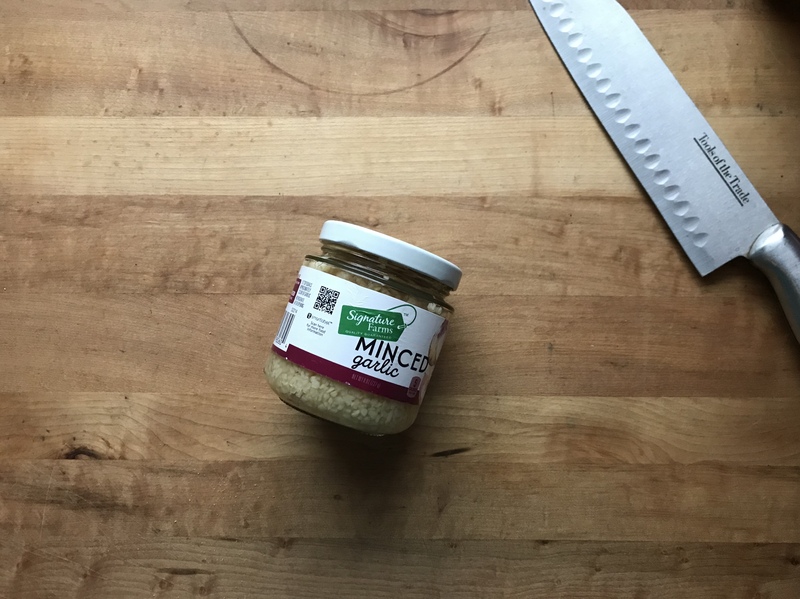 It will separate and the fat will rise to the top of the jar, however, once reheated and mixed again there will be no separation. 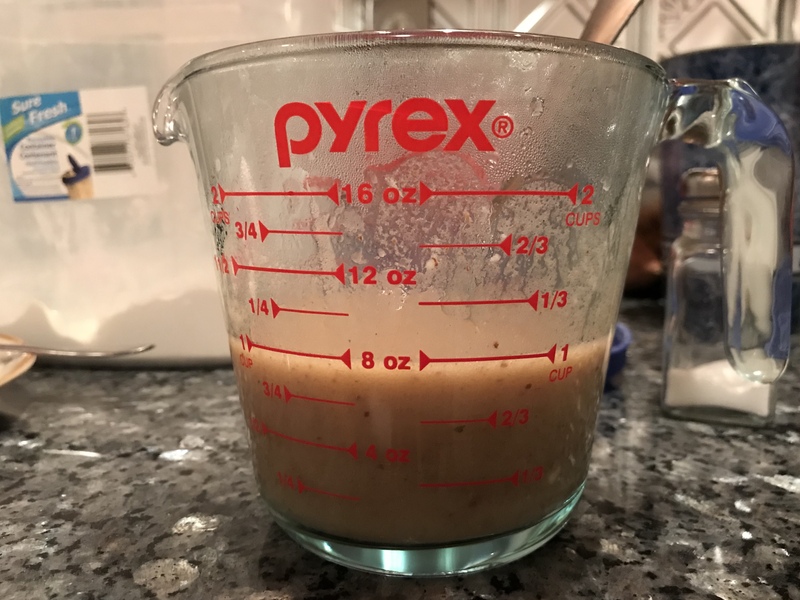 Gravy is one of those things I love to make for certain meals and I was excited that I had an excuse to make some since we pulled the potatoes fresh from then compost pile. We’re going to have some great food adventures in the new kitchen, I can just tell.